After an extensive interview process during our second annual Noble Deeds community outreach program, Noble Studios chose the Terry Lee Wells Nevada Discovery Museum (The Discovery), a “hands-on museum dedicated to inspiring life-long learning in science, technology, engineering, art and math,” as the recipient. In its five years of existence, the Discovery has already had a major impact on the community by providing fun and educational programs centered on STEM (Science, Technology, Engineering and Math) disciplines. By donating a complete website overhaul and related services, we were able to improve the Discovery’s overall digital marketing effectiveness. 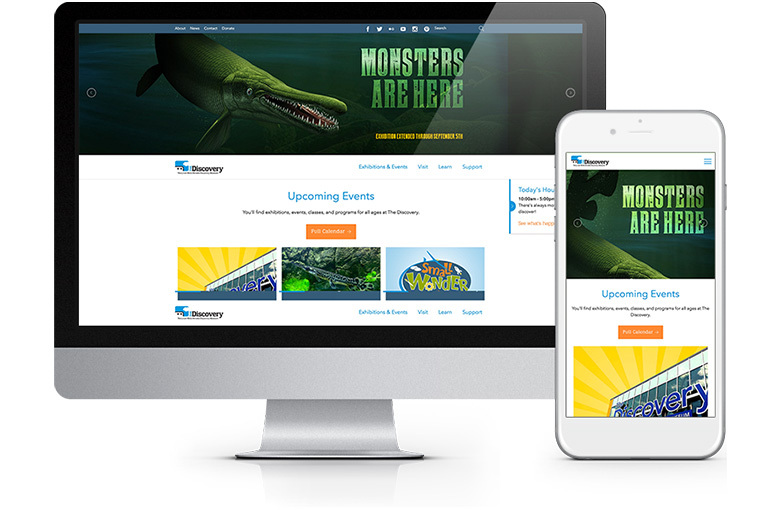 The Discovery’s digital wish list included: a new Content Management System (CMS), improved events listings and a chance to rebrand itself from a children’s museum to one that attracts a broad, general audience from across northern Nevada. Over the course of five months, we redesigned the Discovery’s website to include new features such as an enhanced calendar, making it easier for parents and children to find classes and events that inspire a love for science, math and much more. We also added a CMS from WordPress, providing the Discovery’s marketing team with the ability to maintain and update content without the need of HTML/CSS experience. Now when the Discovery adds new events and exhibits, its team can quickly change the content on the website to reflect the newest additions. Ultimately, these efforts centered on helping to shift the perception of the Discovery as a children’s museum to something bigger for the northern Nevada community. Customizable modules allow the Discovery to easily build content that reflects their latest exhibitions. A newly integrated newsfeed shines light on the Discovery’s achievements and upcoming events. The nonprofit’s new site offers users a more streamlined process for donating and volunteering their time. Since the website’s relaunch , the Discovery’s page views have increased, while sessions are up and bounce rates are down. More importantly, by making the Discovery’s page mobile friendly, Noble was able to help the organization not only boost its organic traffic, but increase mobile sessions as well. With its new site, Discovery now has a marketing strategy that allows the organization to focus on delivering engaging, quality content that speaks to its core audience across all platforms. “What resulted from this collaboration with Noble wasn’t necessarily just a new website, it was some really great insight into our ability to reach the audience that we’re trying to reach. Noble has been great to work with,” said Turner.